The Nikon DSLR camera uses SD/SDXC/SDHC memory card to store photos. 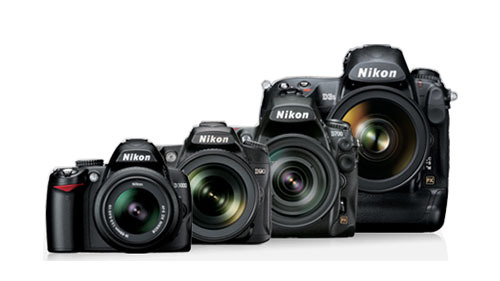 Popular Nikon Digital SLR camera products like DSLR D4, DSLR D90, DSLR D600, DSLR D800, DSLR D3100, DSLR D3200, DSLR D5100, DSLR D5200, DSLR D7000, DSLR D7100. When you are using Nikon DSLR, you should be careful in order to protect your files from data loss disaster. For example, you carelessly pressed the delete button and clean files by mistake. Fortunately, the deleted photos are not gone permanently. A proper third party program like Nikon DSLR Photo Recovery software can help you recover deleted photos from Nikon DSLR with ease. 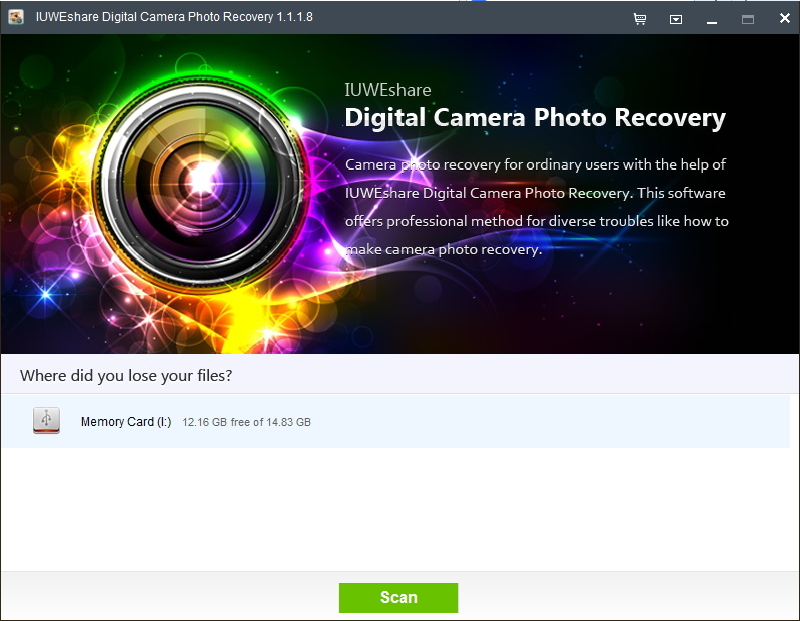 IUWEshare Digital Camera Photo Recovery(Win/Mac) is highly recommended as the Nikon D7000 DSLR photo recovery tool. It can scan all the deleted images and restore them to their original format. It is the ideal digital photo recovery software for professionals and beginners. Note: Stop using the Nikon camera as soon as you discover that the deletion occurs. You don't want to capture new pictures that will overwrite the deleted files. Step 1: Connect Nikon DSLR storage device to computer. Remove the SD card from Nikon DSLR camera and connect the card to the computer with a card reader. Select the icons that represents your Nikon DSLR memory card as the storage media to scan. Then hit "Scan" button to continue. Step 3: Preview and recover deleted photos from Nikon DSLR.